Singh & Associates Limited is a professional and reliable small team with friendly staff that will assist you in all transitions of your business. Our qualified and motivated Staff is experienced in providing a range of accounting & business advisory services for whatever stage your business is at. Be it a small business, self- employed, home-based businesses, individuals in the Greater Market area, investments in rental properties, trust set-up and management or cashflow predictions our dedication and commitment with you will help you achieve your business and financial goals. Being proactive and accepting challenges are what makes our services help your business grow. Singh & Associates Limited provides the expertise you need to grow your business to next level. A personal & professional service to assist with every successful outcome. Ravi Singh and his team at Singh & Associates Ltd has been our accountants for the past ten years. 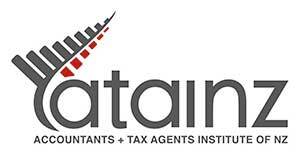 We have found their knowledge and understanding of all tax and accounting matters, second to none. Ravi and his colleagues have a wealth of experience and are very professional yet maintain a great sense of humour. They are always available to discuss any queries we have and always find appropriate solutions. We are happy with their service and most appreciative of their support. We have been a customer of Singh and associates Ltd for number of years and we have never been disappointed with their service. We always receive a prompt response to any query. They look after all our accounting and GST requirements so that we can concentrate on building our business.